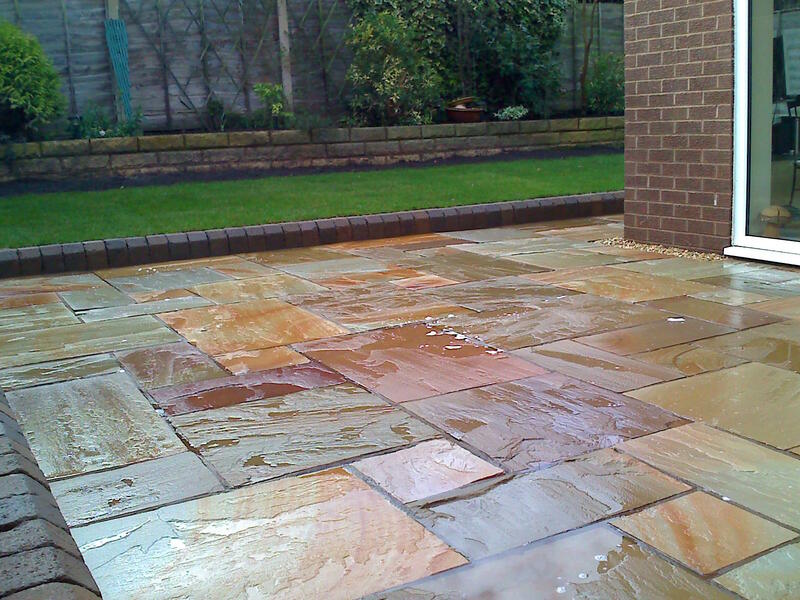 A Sandstone patio is the main focal point of the garden. 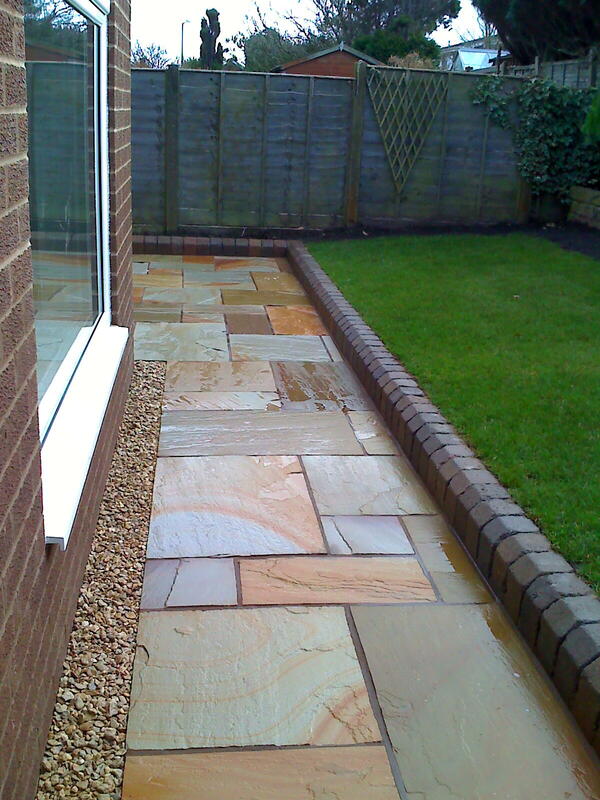 Antique Kerbs are used to retain the new lawn, whilst the paving continues around the house. A special drain has been constructed to take the surface water from around the building. 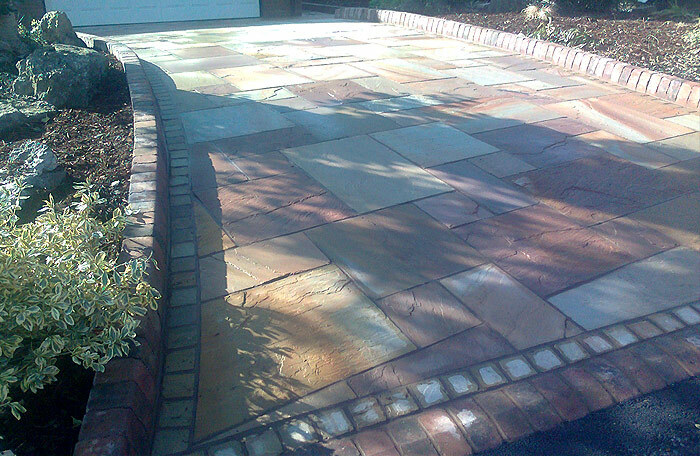 A paved area designed specifically to your needs adds a new dimension to your exterior areas. 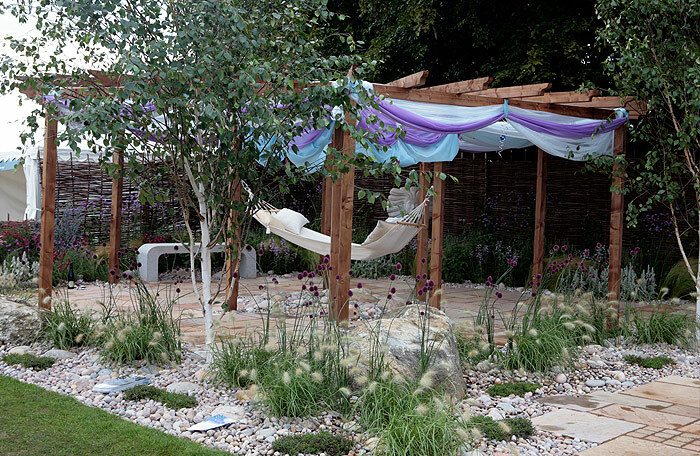 We can create for you a contemporary outdoor space of real style with our quality decking. 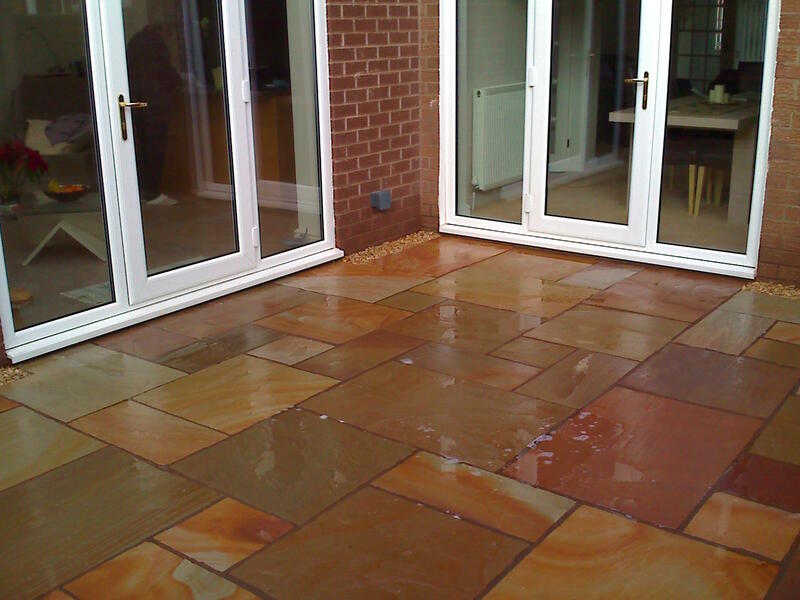 Install a new driveway or give your drive a face lift and increase the value of your property! 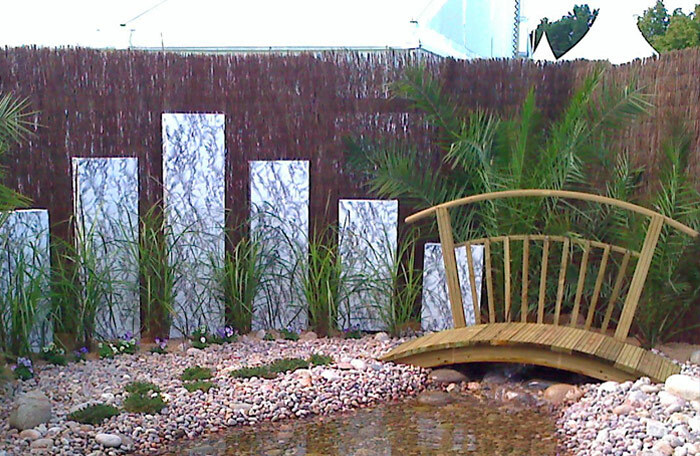 We can create beautifully designed walled and terraced areas to enhance you outdoor space. 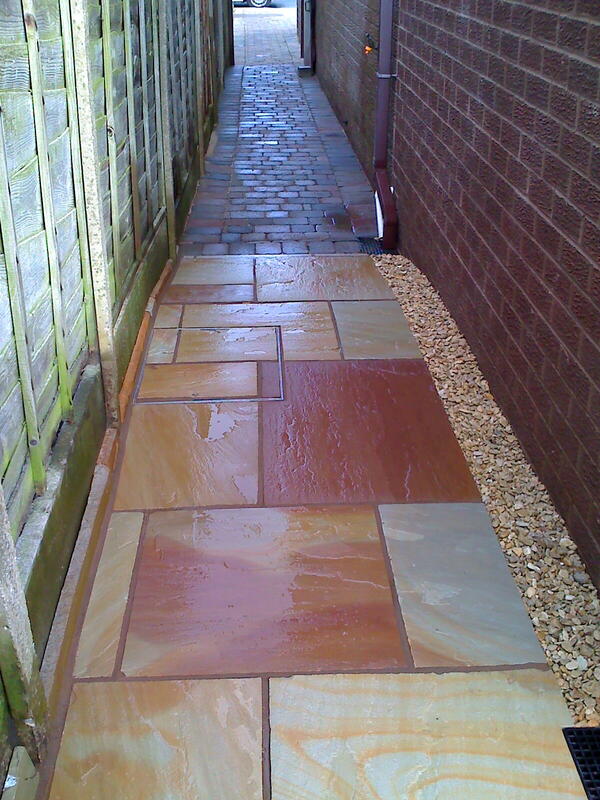 A well designed and laid pathway creates a welcoming elegance to your home. 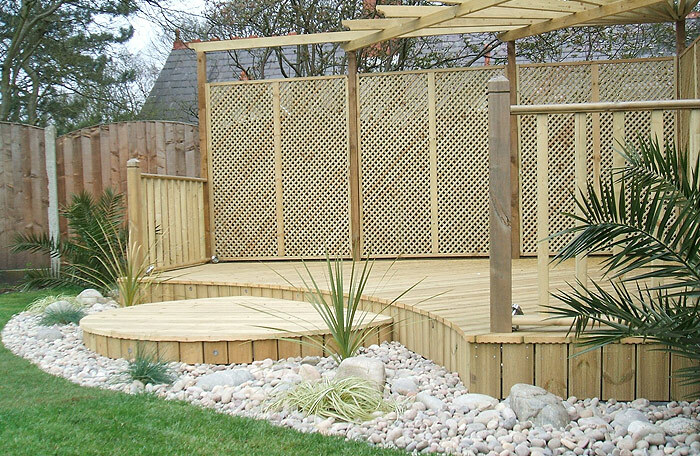 We install a wide range of garden fencing, screening and trellis. We offer a free initial consultation at your convenience when we will discuss your project and your requirements. 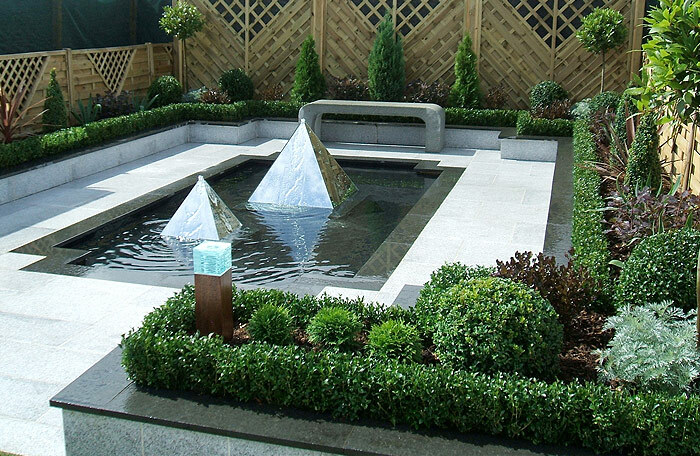 We offer a consultancy advice service, with the option of meeting with you in person on site, or by discussing your landscaping garden design online or over the telephone. After discussing your landscaping project and assessed its size and complexity we can offer you a quote based on these findings.